Refrigerator dill pickles makes home canning easy! Boiling bath method not required if storing in refrigerator. 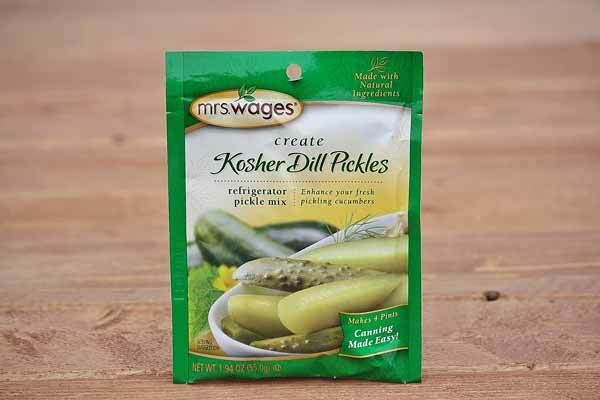 Just add vinegar and water to make 4-5 pints of pickles per pack. Ready to eat in 24 hours! These natural herbs and spices will make a great tasting pickle fast. Can also be used in regular water bath canning process. Made in the USA.